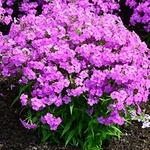 Phlox 'Forever Pink'. 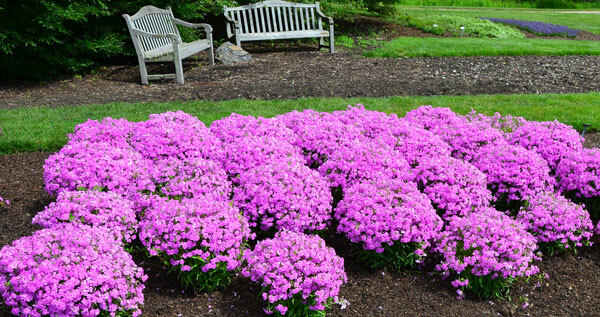 1" purplish-pink flowers cover the yellowish-green, mildew-free foliage all summer and into fall. This new hybrid has proven to be extra deer-proof and unappealing to rabbits. 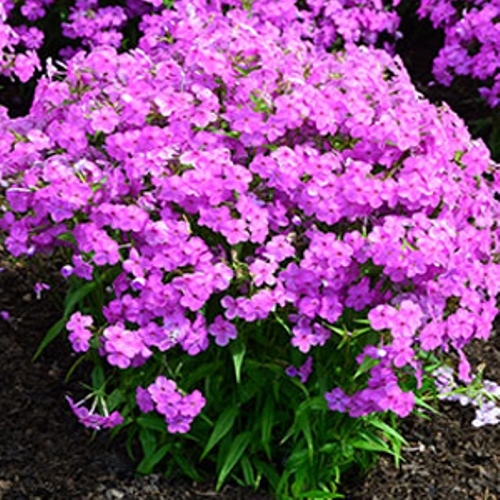 A drought-tolerant variety that prefers moist, well-drained soil and is striking planted en masse. 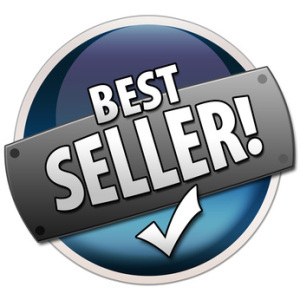 PP#24,918.